I am having this really weird problem with Windows 8 where it won't let me edit or save to my program files folder in my C: drive. It keeps telling me access is denied, even when I have taken ownership of the folder and am logged in as an administrator. I can save to my other drives just fine. 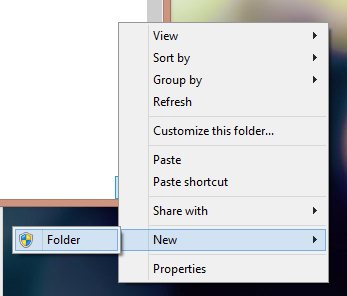 The new menu item is even missing the regular items and only allows me to create a folder. Can someone please help me out? This is really frustrating. I gave myself full control yet I can't edit or create files in the directory. All you have to do is make sure you open up notepad as administrator Start Menu > Right Click "notepad" app> choose "Run as administrator" on the task bar. Then edit and save you config file. I do it all the time with FSX. Not the answer you're looking for? Browse other questions tagged windows-8 permissions acl or ask your own question. How do I get permissions to save in a folder that Windows 7 denies me from? Permissions corrupted on temp folder? 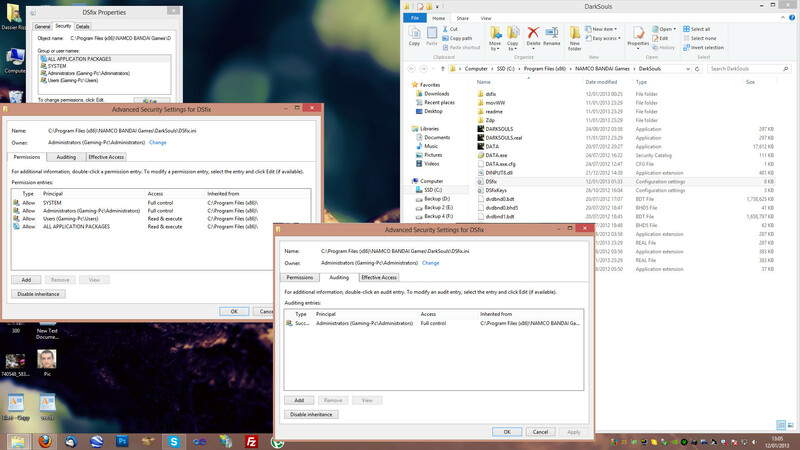 Completely restore access control to defaults for WindowsApps folder?